Concrete cutting is an extremely difficult task, which requires utmost precision, endurance, and skill. By practicing concrete cutting techniques with precision, you can get great results. You can certain get the best possible finish every time by being up-to-date with the latest developments in the power saw technology. Here are some useful tips that will help you ensure great results for concrete saw cutting. Wet Saws: Water, if sprayed constantly, dampens the dust and cleans the area where the cut will be made. This type of saw will help you see what you are working on. Walk-Behind Saws: These saws are used when an entire slab or wall needs removal. They are the fastest for such work. Diamond Bits and Blades: They make the cleanest cuts which in turn results in the sharp cuts. These saws are the best choice for extremely fine decorative details in a project. 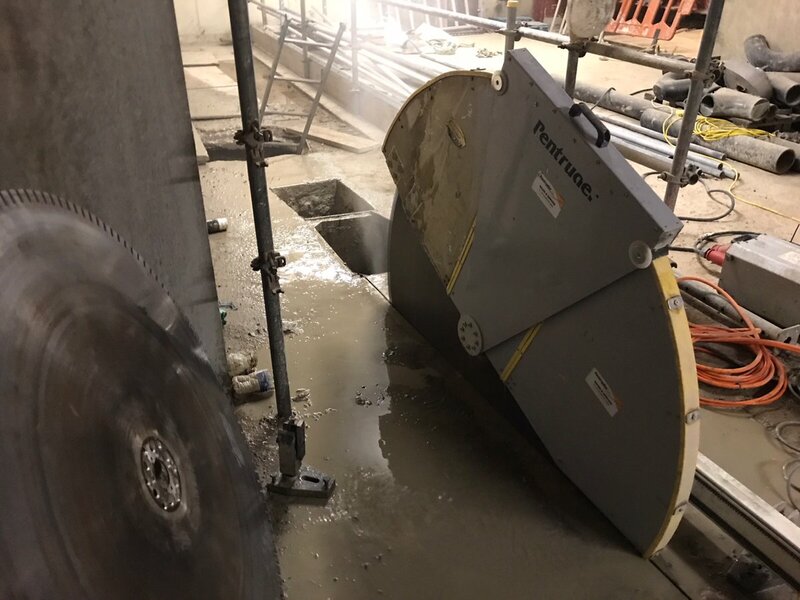 Handheld Edge Cutting Saws: They can be very useful in tackling difficult corners and the implanted reinforcing bars with saws such as the flush cutting saw. Concrete cutting with dull blades alleviates the fracturing chances. It also results in heating of the saw which can reduce the lifespan of the saw. This further results in an increase in the dust production. To ensure that the cuts are clean, you must always swap blades whenever there is any minor sign of wear. Investment in heavy-duty blades is advisable, in case you plan on doing concrete saw cutting in bulk. There can be pipes, reinforcing bars, wiring which lies underneath the concrete. If you are unaware of the same, use a saw blade that can cut vertically. Remember to maintain a height that is above the depth where such materials can exist. If the nature of your work is on interior ventures like countertops or concrete floors, you are advised to invest in wet cutting equipment. Wet saws can work wonderfully outdoors as well, specifically if all the other electricity sources are first cut off. Time the cuts in a way that the concrete is completely hardened by the time you need it ready. Consider the recovery period to time the cuts so as to get perfect texture, smooth edges and straight cuts with very little quantity of sawdust. Never Force a Blade: You must neither force a blade into the cut, nor exert too much pressure on the saw. Simply steer the saw and let the weight of the saw do the cutting. Never Start Cutting Without a Plan: You must never start cutting without a map already planned out in your mind. You may use a piece of chalk to mark or draw out where you want to cut. If you are looking for the best quality range of saws, consider CA Drillers. The company deals in an extensive range of saws which can help you achieve perfect concrete saw cutting with precision.